Although studies on what future teachers in the sciences need are ample, countries like the Philippines need to address not just the future needs, but more importantly, the present needs of their basic education system. There are students now that need quality science instruction. These children cannot wait for future science teachers. To this end, it is important to find a solution that can alleviate the situation right now. Thus, a better question to ask is how can we help those who are currently teaching science. 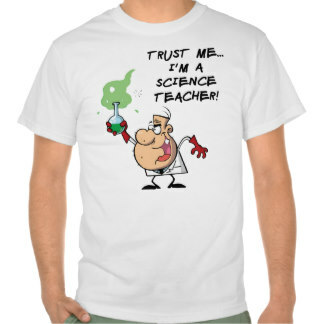 Teacher knowledge of science content is an important but under-studied construct. 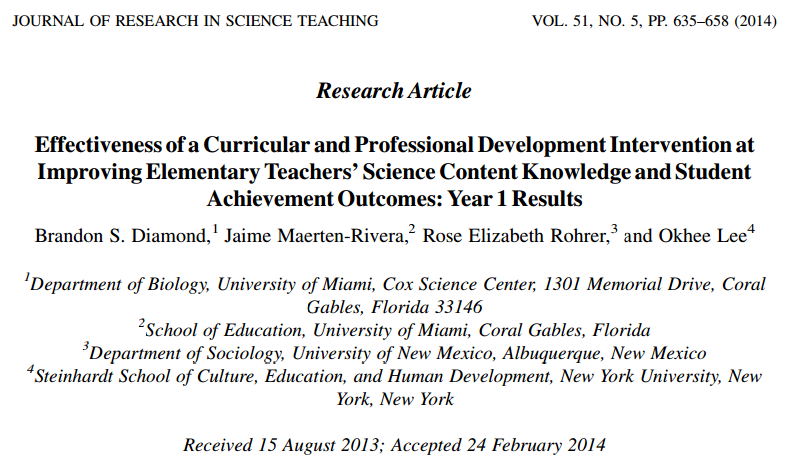 A curricular and professional development intervention consisting of a ﬁfth grade science curriculum, teacher workshops, and school site support was studied to determine its effect on teachers’ science content knowledge as measured by a science knowledge test, a questionnaire, and classroom observations. These three measures, along with college science courses taken, were then used to examine the effect of teachers’ science content knowledge on student achievement outcomes. The intervention had a signiﬁcant effect on the treatment group teachers’ science knowledge test scores and questionnaire responses compared to the control group, but not on the classroom observation ratings. Teachers’ scores on the science knowledge test were found to be the largest signiﬁcant teacher-level predictor of student achievement outcomes regardless of participation in the intervention. Teacher Science Knowledge Test (TEST).The teacher science knowledge test consists of 24 multiple-choice and six short response items. Of the 30 items, 24 were taken from Trends in International Mathematics and Science Study (TIMSS) or National Assessment of Educational Programs (NAEP) and six items were project-developed. Eleven of the NAEP and TIMSS items were administered to fourth grade and were rated as difﬁcult content and high cognitive complexity for this grade level, while 12 items were administered to eighth grade. One NAEP item was for an unknown grade level. The items were selected to reﬂect state science content standards in life sciences, physical sciences, earth sciences, and nature of science at intermediate grades 3–5. What Does an Exam Tell Us? Should Teachers Fight for Higher Salaries?